A World of Cruising exclusive with MSC Cruises. Win a day on board MSC Preziosa! This is an exceptional opportunity for 30 people, each taking along a relative, to spend a day on board MSC Preziosa, on Tuesday the 16th of May, at Southampton. At a weight of 139,072 tonnes and a length of 333 metres, and able to carry just over 4,300 passengers, MSC Preziosa is an impressive size — but it’s also big on luxury and comfort. It’s packed with the latest in great entertainment, extensive dining options and top-of-the-range spa facilities. With features including a real stone piazza and spectacular sweeping Swarovski crystal grand staircases, as well as a magical ‘infinity’ pool, MSC Preziosa is the perfect place to relax, unwind and enjoy the pleasures of an MSC cruise. 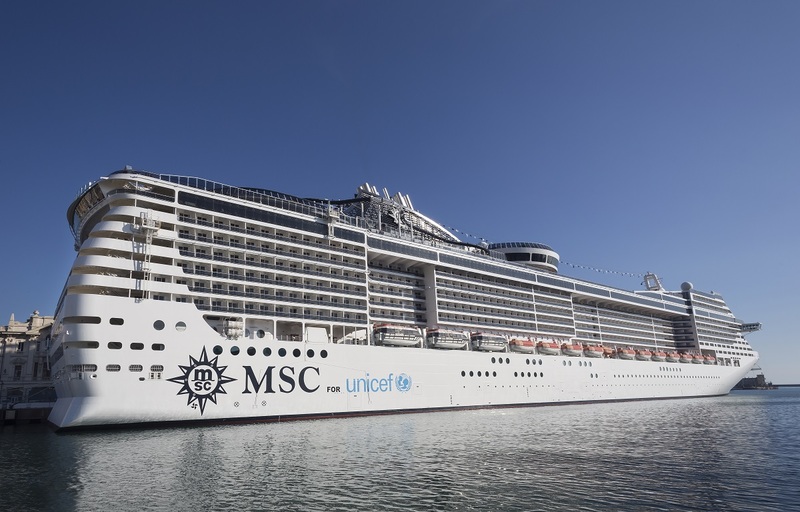 The ship visit will take place on the 16th of May, when MSC Preziosa will be docked in Southampton’s City Cruise Terminal. Guests will be invited to embark at 10.30am and will benefit from free car parking at Southampton port. The day will include a full ship tour and lunch in one of the dining rooms, as well as an opportunity to have a Q&A session with MSC Cruises’ UK & Ireland MD, Antonio Paradiso. Ready to board? Enter now — you could be one of the lucky winners!